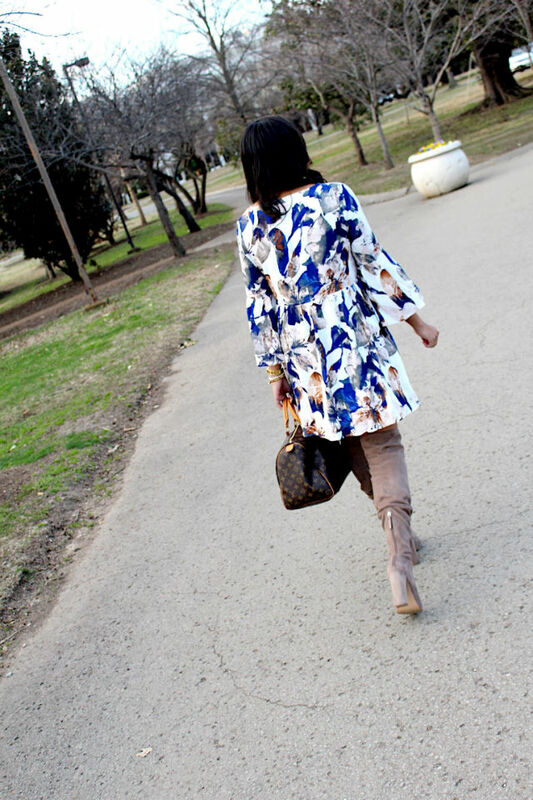 Who say's floral is JUST for the spring/summer?! Not me! 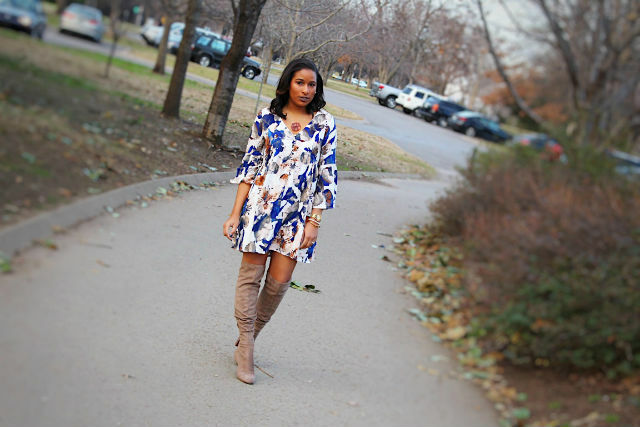 I say floral print can transition into any season depending on how you style it! 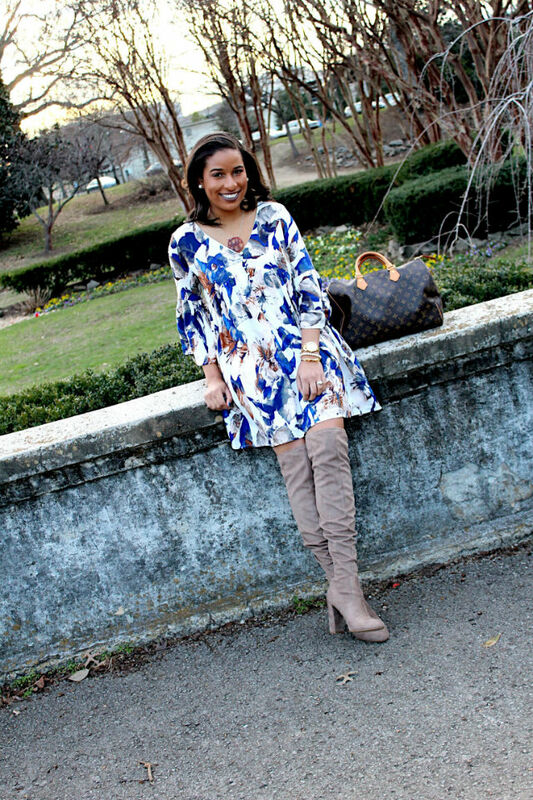 This fabulous dress from Nina's Boutique in Hendersonville, TN pairs perfectly with my OTK boots, which means it screams winter right now, and I can see myself wearing it again in the spring with booties or sandals. Don't you just love finding those clothing pieces that you can wear in different seasons depending on what you pair with it? I do! That's the best way to shop because you get more bang for your buck. Although I am EXTREMELY ready for some consistently warmer days, I think I'm going to be a little bit sad once the weather warms up and I have to put my OTK boots away for awhile because I have really grown attached to them this season. I think next winter I will invest in a few more colors now that I know how much I love them. What was your favorite winter staple this year?